Registration is closed for 2018. Thank you Meghan Aase & Jeff Smith for organizing the successful event. This annual event is a great way to spend a winter afternoon relaxing, socializing and having some fun. There will also be a short recognition program, entertainment and an auction; proceeds will benefit MBS 2018 programs. 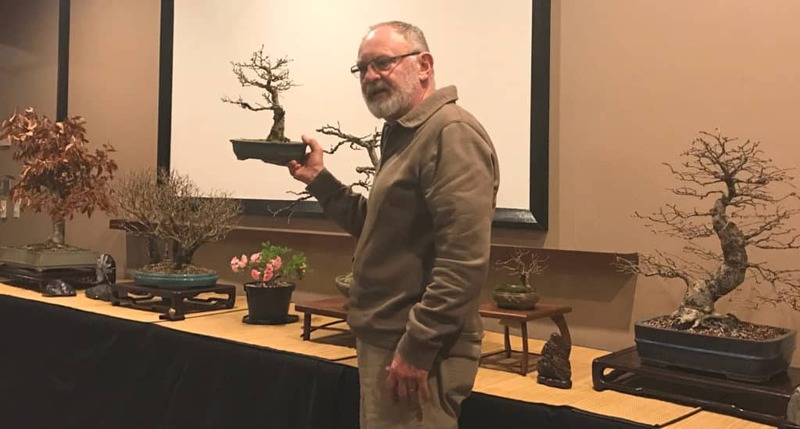 Be sure to bring an item for the auction, it doesn’t need to be bonsai related! This years event was held at Rose Vine Hall. Food will be a pasta buffet: Meat lasagna, chicken fettuccine alfredo and a vegetarian homemade manicotti. Includes garlic bread, Caesar salad and fresh grated parmesan cheese. There will also be an area to exhibit your winter trees. Please arrive 15 minutes early to setup your trees.